Is Islamic State in West Africa becoming more hardline? 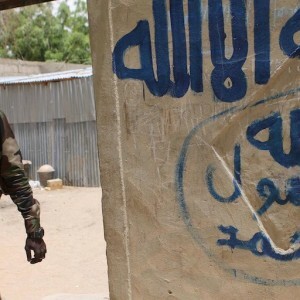 Recent activities by Islamic State in West Africa (ISWA), the Boko Haram faction that replaced Abubakar Shekau as leader in 2016, have raised questions regarding its position and whether it is becoming more hardened. A few key developments regarding leadership and operations suggest such a shift in outlook for an organisation that is becoming an increasing threat in the Lake Chad Basin region. Although it hasn’t been officially confirmed, it is generally accepted that Mamman Nur, a key ISWA leader, was killed in August by his own commanders. Nur was considered by many to be the real power in the faction, given his status as a veteran jihadist with international connections. One explanation of Nur’s assassination has been internal discontent with his policies, including the release of about 100 schoolgirls kidnapped from Dapchi earlier this year (the group still holds one Christian student). The Nigerian government claimed the release was part of ongoing negotiations with the faction – negotiations that thus far have not demonstrated any other visible signs of progress. In this sense, Nur may have been seen as relatively moderate, or more willing to engage with the Nigerian government than others in his movement were comfortable with. This raises major questions as to the status of Abu Musab al-Barnawi, the Islamic State-appointed governor of ISWA. It also leads to questions regarding ISWA’s relationship with Islamic State, given that this is the second major leader in two years that group members have moved on from. Yet the Islamic State-ISWA linkages appear intact, at least regarding messaging. ISWA messaging on Islamic State social media channels has actually increased since around the time of Nur’s reported death. Since August, 23 attack claims from ISWA have been promoted by Islamic State messaging outlets such as Amaq News. The contrast to messaging patterns before in 2018 is striking, as only four similar attack claims were broadcast before July. Messaging shifts in the past have preceded major changes within the group, and the increased publicity of ISWA activities demonstrates at the least that virtual relations with Islamic State appear uninterrupted by Nur’s reported demise. The attack claims have included a worrying string of incidents targeting Nigerian military bases in northern Borno State. Many of the assaults have resulted in the flight of security personnel, at least until the arrival of reinforcements or use of airpower. These attacks show no signs of slowing, as is clear from last week’s assault in Metele and another in Kangarwa just days later. The attacks put ISWA on an increased offensive, allowing the militants to loot weapons during raids. While the faction hasn’t occupied any of the areas for long, the ability to dictate the pace of the war is a worrying sign of their capabilities in this part of Borno State. This suggests that the group is no weaker in the wake of Nur’s reported death. ISWA has also demonstrated changes in its stance towards hostages. Previously, ISWA’s track record with high-profile kidnap victims generally resulted in positive outcomes – a team of geologists abducted in July 2017 was released in February, as were all but one of the Dapchi schoolgirls. Lately, however, ISWA has been less patient regarding hostage negotiations. In mid-September 2018, ISWA executed one of three aid workers in its possession, claiming the Nigerian government had ignored their demands. A 30-day deadline to respond expired in mid-October, resulting in the execution of another. ISWA justified these executions in a way they didn’t with previous hostages. Both executed aid workers were female Muslim civilians, but after their death the narrative revolved around how they were considered apostates, as they had abandoned Islam by working for an international organisation. But the Dapchi schoolgirls weren’t condemned in this way, despite attending a government-run school and being warned on their release not to continue this education. The abducted geologists were also treated differently despite working with the University of Maiduguri and travelling in a military-protected convoy. They were even told they could resume their work after being released. In this sense, ISWA’s operational approach to hostage-taking has shown a shift over the past few months, resulting in harsher outcomes. Combined, the reported demise of Nur, the increased promotion of ISWA activities on Islamic State messaging channels, the frequency of attacks on military outposts in northern Borno State and the different hostage outcomes signal a more hardline outlook for ISWA. Given the timing, this appears related to Nur’s demise. Such shifts also raise questions as to ISWA’s relationship with the Shekau faction. As ISWA has increased its frequency of attacks, the Shekau faction has done the opposite – at least with its controversial suicide attacks on soft civilian targets. Previously a hallmark of operations, the last successful attack came in mid-August (though there have been reports of other attempts, and the Nigerian army arrested a female bomber in November). Given the unpopularity of these attacks with ISWA, the reduction could also be interpreted as a means of Shekau reaching out during a time of internal turmoil. Any sort of reconciliation would be difficult, however, given Barnawi’s messaging denouncing Shekau’s ideology as recently as June. Yet the status of Barnawi within his own faction is now unclear in the wake of Nur’s reported demise. It is possible that a new group of militants who retain linkages to Islamic State, but differ from Nur’s less confrontational approach and Shekau’s excesses, will emerge. Rather while the leadership dynamics remain uncertain, what is clearer is that the insurgency in the Lake Chad Basin region has undergone some subtle shifts which may portend a new stage. The ramifications thus far have been dramatic, as ISWA has been able to build its capabilities to the point where the pushback of security forces in northern Borno State is now routine. The internal leadership dynamics may have been the tipping point between the relative containment of a regional menace like ISWA, and a new wave of terror in what has already been a lengthy war in the Lake Chad region.